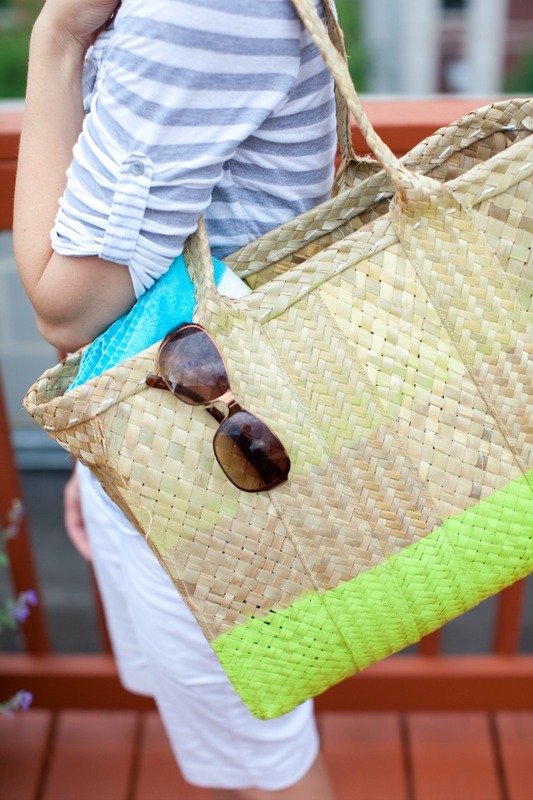 Have an old straw bag in your closet? 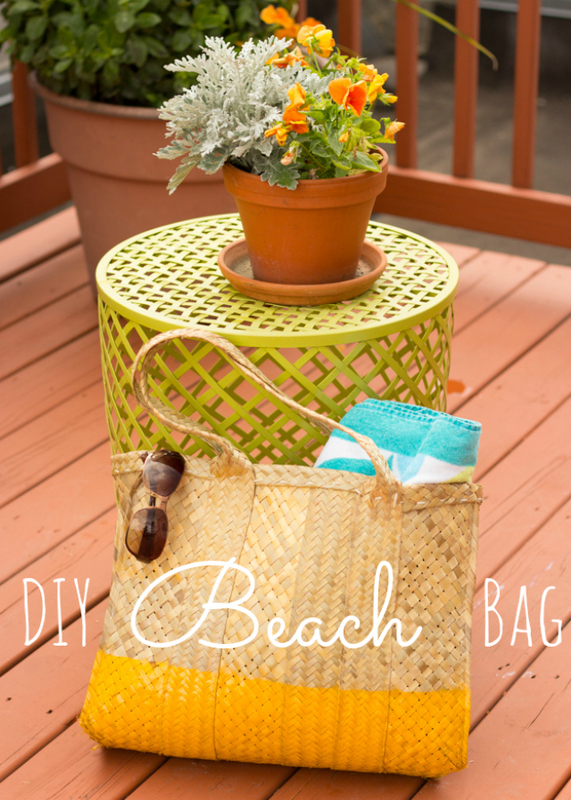 Give it a summer makeover with a little bit of spray paint! I got this idea when I was going through my closet finding things to donate before our move. 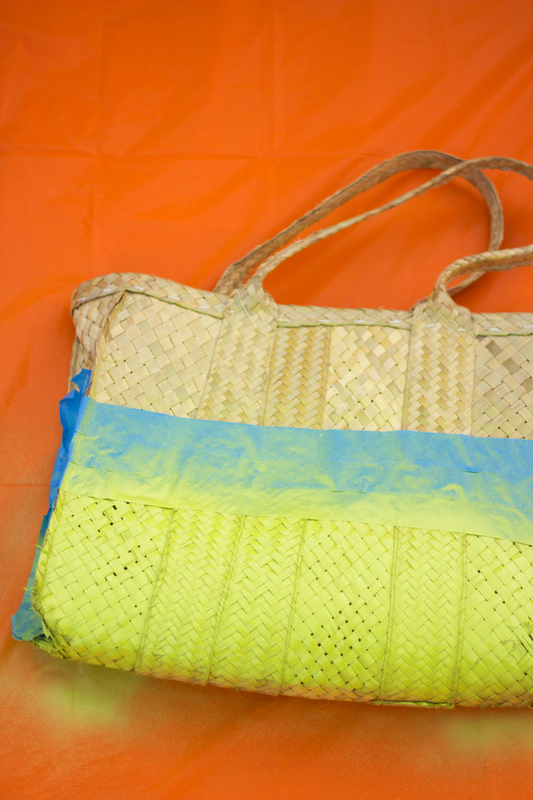 I had the plain straw bag for years and was thinking of getting rid of it. But I thought maybe a pop of color was all it needed to breathe some new life into it. I remembered a couple nearly empty cans of spray paint from my DIY outdoor rug project and went to work! 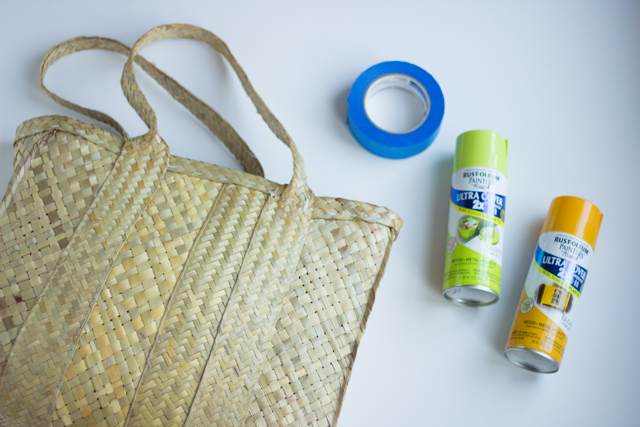 All you need is a straw bag (or really anything straw or wicker would work), some painters tape and spray paint. I used Rustoleum Painter’s Touch Ultra Cover paint – it is very durable and only requires a single coat. Since I didn’t bother taping all the way up the side of the bag there ended up being a light band of overspray above where the tape was (can you spy it)? I’m hoping it looks like it was planned – maybe a little ombre effect if you will. 😉 If you want to avoid that, make sure you tape up the rest of the bag! If you have some spray paint lying around this is a quick 15 minute project. 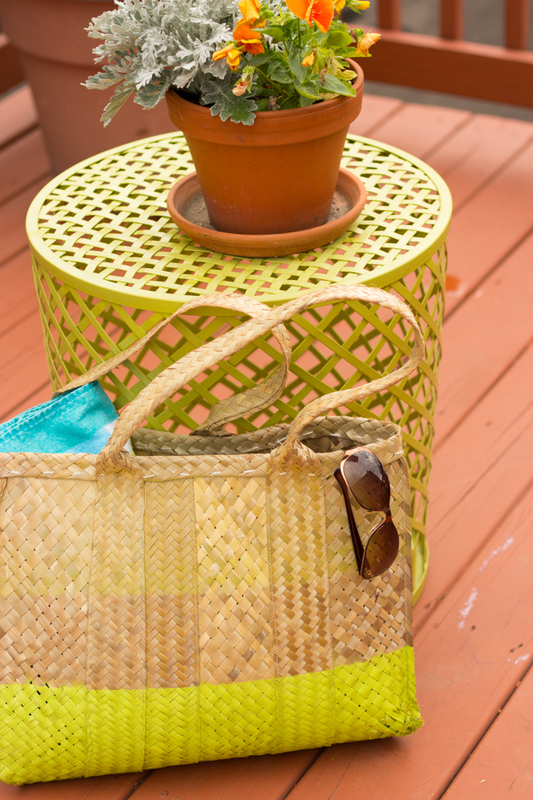 What straw / wicker pieces do you have that could benefit from a fun pop of color?